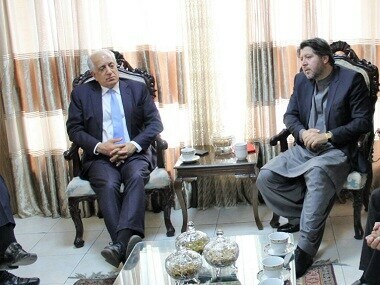 Zalmay Khalilzad’s tweets are being followed with great interest by Afghan watchers in recent days. That’s in part because he’s former president Barack Obama’s Special Representative on Afghanistan, but more because he seems to be poised for some kind of ‘success’ in a task that has eluded his predecessors. Following the marathon talks at Qatar last week, the Special Representative indicated in an interview to The New York Times that a draft proposal was ready for discussion. The Taliban was not so forthcoming. Its spokesman acknowledged progress, but denied any agreement. But clearly some forward movement had been made. The question is who exactly went forward and for what benefit. As per the report, the main issue that was agreed to by all sides was that the Taliban would not provide safe havens to international terrorists of any hue in the area. If that is the sum of what the US wanted, then it may have wasted the more than $1.5 trillion trillion it is said to have spent on the Afghan war after 11 September, 2001; not to mention the over-2,700 soldiers killed. First, the Taliban is already engaged in a bitter fight with the Islamic State in Afghanistan. Giving this group a higher profile is not in the interest of the Taliban, since the IS here is almost entirely made of former Taliban cadres. As for the Al-Qaeda, there are hardly any remnants left in the country. Second, no Central government either run by the Taliban or anyone else has ever had much control on what happens in areas even 50 kilometres from the capital. Even if Taliban leaders make such a commitment, their men at the lower levels, who are reported to be in “control” of some 12 percent of districts, are unlikely to care very much. Decisions at district-level and below are made according to local wheeling and dealing, and an exchange of money. Third, nothing at all prevents the Taliban or anyone else from paying mere lip service to such commitments at a later date. In fact, that is probably what it is likely to do. In short, the Taliban has given away nothing at all in exchange for the probable withdrawal of US troops. To be fair, the Taliban has never pretended to be at all accommodating. Spokesman Zabiullah Mujahid has said clearly that the most important issue is the withdrawal of foreign troops and that further decisions are contingent on that. The Taliban has also refused to ‘officially’ talk to the Afghan government, and left the question of a ceasefire open. The only ‘concession’ evident has been made by Pakistan, who released Mullah Abdul Ghani Baradar from prison to power the Taliban delegation for the talks. Baradar was once a heavyweight Taliban leader, who opted however for peace talks with the Afghan government after years of fighting. That led directly to his imprisonment and probably torture in Pakistan. The ISI after all, has never encouraged unilateral decision making by proxies either in Afghanistan or Kashmir by terrorists or insurgents. At present, Barader has the intent, the experience and probably the clout to negotiate peace. After all he’s a Popalzai from the core area of Deh Rawood, and with enough experience in war to earn him respect among the fighters. The trouble is his health, which is reported to have been badly affected by his years of imprisonment. As a US official said, his release was “startling” and probably the only reason why there is some sense of optimism. There is no doubt that US pressure on Pakistan has been public and considerable. Apart from threats on cutting aid, the US has also released five Taliban leaders incarcerated in Guantanamo Bay, not all of whom are all that friendly with Pakistan. President Donald Trump’s tweets condemning Pakistan have also been embarrassing for Islamabad as have strategy papers calling out Pakistan as the main spoiler. But Trump’s equally public desire to quit Afghanistan is probably likely to erode the ground under his own negotiator, whose brief seems to be to simply get US troops out of the country. The Taliban is hardly likely to ignore this in its calculations. Nor is it so ill-informed that it would not be aware of the assessment of the Office of the Director of National Intelligence that observes that Afghan forces are holding on — barely — with current levels of US assistance. Remove that, and President Ashraf Ghani and his Cabinet may as well pack up and leave. It is not the timing of a possible ceasefire that is the problem. It is the ability of the Afghan government to hold ground well down the road, once foreign troops presumably leave. It’s no wonder that NATO officials are guarded in their optimism. If fighting breaks out again, it is Europe that will find a huge uptick in the already huge numbers of Afghan refugees heading for its shores. In sum therefore, the draft agreement in its present shape, seems to be a virtual acknowledgment of Taliban might and that of its sponsors. In a bid for stability, US strategy seems to be relying heavily on the capability of the released Taliban leaders to hold their own against a neighbouring foe that seeks nothing less than virtual control of Afghanistan’s affairs. In addition are also those with ‘special interests’ in Afghanistan, not to mention big powers vying for influence. Baradar and his retinue could well be accommodated by the Afghan government through a power sharing agreement, if everyone leans sufficiently on Kabul. The problem is the ability of each of these actors to act according to their own and the country’s best interests. It is this steady erosion of independent decision-making that has caused one of the world’s longest running wars to continue. Certainly, the guns may well turn silent for a while. But until those running proxies are turned into promoters of stability, and another layer of those backing the proxy masters turn to policing them instead, nothing much will change. In simple words, the need is for a concert of nations working towards the same goal, rather than a cacophonous band stabbing each other in the back.